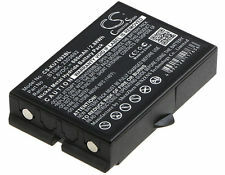 BT06K: 4.8 volt 600mAh rechargeable NiMH battery for crane remotes. Fits: IKUSI 2303692, ATEX transmitters, RAD-TF transmitters, RAD-TS, T70 1 ATEX, T70 2 ATEX handhelds, T70-1, T70-2, T71, T72 ATEX transmitters, TM70, TM70 range, TM70/1, TM70/2, TM70/iK2.13B JS, TM70/iK2.13B JS3, TM70/iK2.13B LV, TM70/iK2.13B LV3, TM70/iK2.21F JS5, TM70/iK2.21F LV5. Replaces BT06K, BT-06K, 2303692 etc.